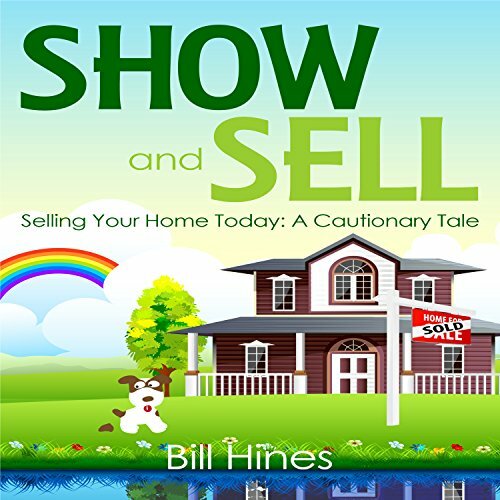 Show and Sell: Selling Your Home Today: A Cautionary Tale by Wild Lake Press at Spring Brook Audio. Hurry! Limited time offer. Offer valid only while supplies last. Like so many other things in our world today, the traditional ways of selling real estate have been disrupted and displaced by technology. Like so many other things in our world today, the traditional ways of selling real estate have been disrupted and displaced by technology. Traditional "for sale by owner" (FSBO) has changed quite a bit from the days when you put the ubiquitous red and white sign out front. The Multiple Listing Service (MLS) that Realtors depend on hasn't changed much over the years, but technology has enabled new approaches that benefit home sellers and buyers. The choice between FSBO and using listing/selling real estate brokers in the traditional way is no longer black and white. New middle-ground options make it easier for homeowners to find exactly the right process for themselves. Visionary realty companies now offer flat-fee MLS inclusion, which eliminates expensive commissions and helps to expedite the process, put the power back into the hands of buyers and sellers, and saves both parties money. This book examines those choices, and walks you through the selling process from start to finish using the recent, real-life experiences of the author, from early decisions to closing. It explores the opportunities that are available to buyers and sellers today, and explains how to use the technology that is not only imperative, but can be comfortable for tech-savvy baby boomers, gen-Xers, and millennials. It is indeed a "cautionary tale" due to the many pitfalls and bizarre events that occurred along the way. At the conclusion, the author poses the question - is it wise to buy a home at all anymore? If you have any questions about this product by Wild Lake Press, contact us by completing and submitting the form below. If you are looking for a specif part number, please include it with your message.